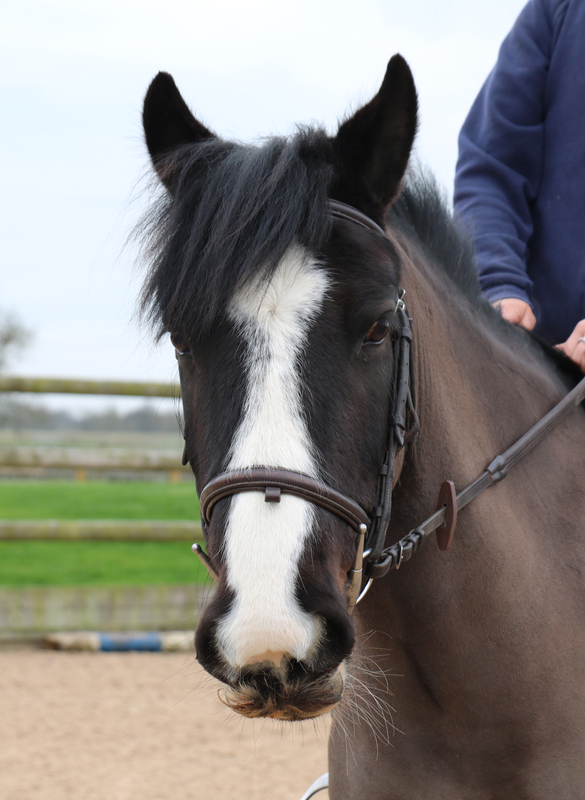 Description – Freddie is a 12.1hh, 7 years old, Black, Cob X mare. History – Freddie arrived at Bransby Horses in 2016 at the request of the RSPCA. Behaviour & Handling – Freddie is a very happy pony who loves people and attention, she is always the first to greet you at the fence. Freddie can walk, trot and canter in the school and out hacking. She has popped a course of coloured jumps and has been over x country fences. When out hacking Freddie is happy to take the lead or go behind, she has recently started hacking alone where she is proving to be very bold. 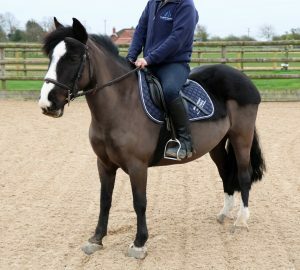 Perfect Match – Freddie is a confident, steady ride but she can be strong and speedy at times so would ideally suit a second ridden, pony club home where she can excel in her jumping. Stabling/Shelter – Can live out all year with a field shelter. Currently stabled at night and out in the day. Companionship – Freddie is quite dominant in the herd. Currently lives with mares. Forage/Feed – Would need to be on a carefully managed diet due to weight gain. Rugs – Rug according to clip. Ailments – Has had a Sarcoid removed in the past which hasn’t returned. Clip – Can be a little worried of clippers but is happy to be clipped if you show patience. If you feel you could offer Freddie a loving home, then please click here .